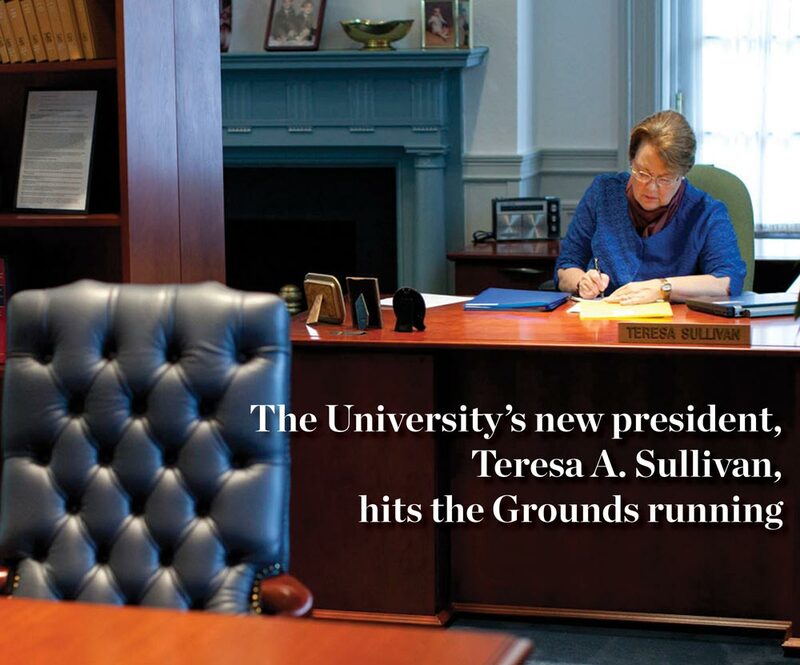 On August 1, 2010, Teresa A. Sullivan became the University of Virginia’s eighth president. 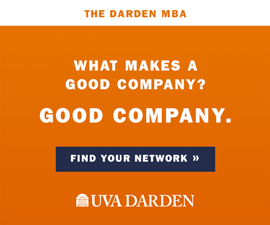 She came to UVA from the University of Michigan, where she served as provost and executive vice president of academic affairs. 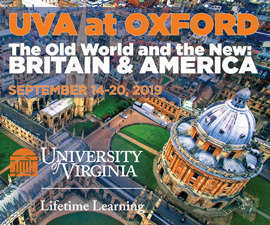 Although she’s been in Charlottesville for only a few months, she seems well on her way to getting to know not only the entire University community but also just about everyone in the commonwealth of Virginia. She’s had one-on-one meetings with Virginia’s governor and secretary of education. She’s attended bond hearings in New York, development events around the state and an alumni reunion in Los Angeles. 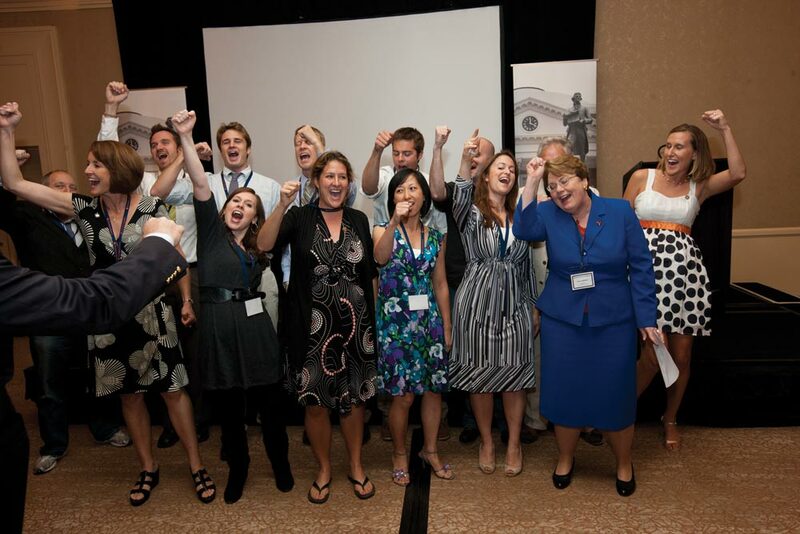 She’s met with faculty members, alumni clubs, and athletics teams and coaches. She’s met with individual legislators in their hometowns around the state, state agency heads, and all of the Virginia congressional delegation in Washington, D.C. She’s been to UVA’s College at Wise and has spoken to numerous student groups and University-affiliated foundations. She’s met with local school superintendents, members of the Charlottesville city council, the Albemarle County board of supervisors and local ministers. “The worst job in the commonwealth right now is being my scheduler,” Sullivan says with a laugh. 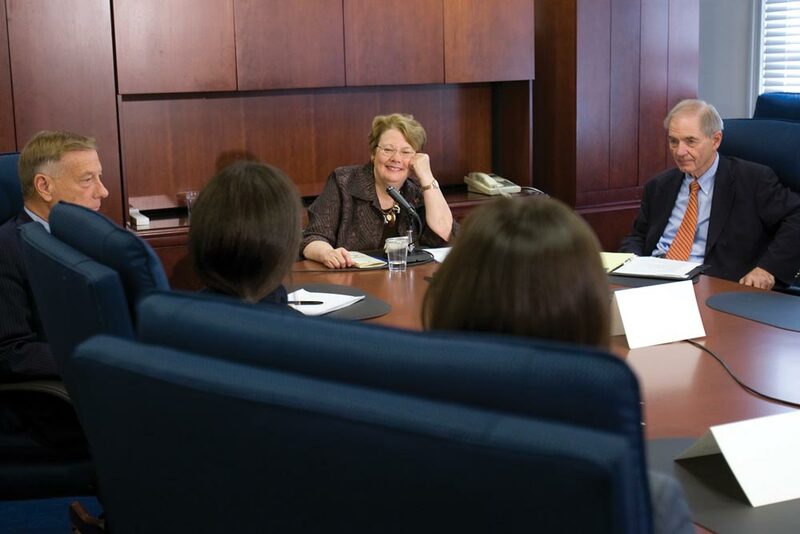 In addition to her busy schedule of speaking engagements, she also led the Day of Dialogue, organized the committee to search for a new executive vice president, and tackled a variety of issues ranging from student safety to budget challenges. She’s managed all this while settling into her new home at Carr’s Hill with her husband of 39 years, Douglas Laycock, a noted constitutional law scholar who has joined the faculty of the University’s School of Law. 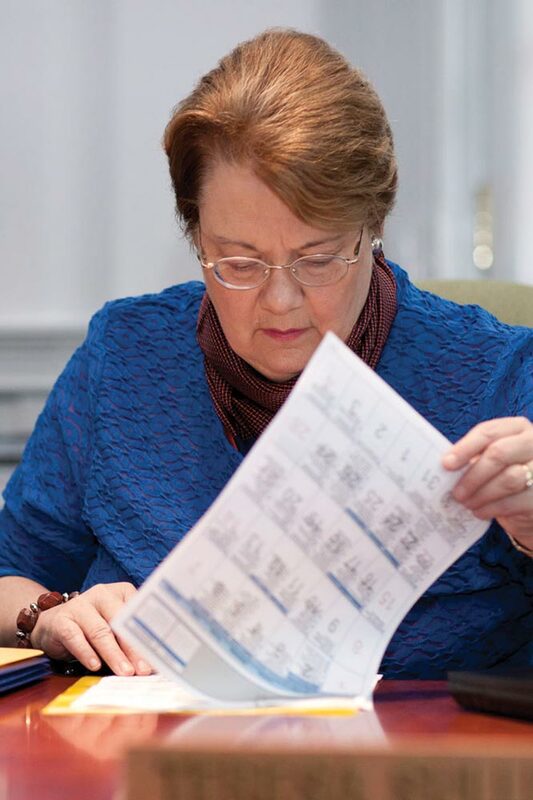 By the time Sullivan began her work as president, she was ready to get down to business. 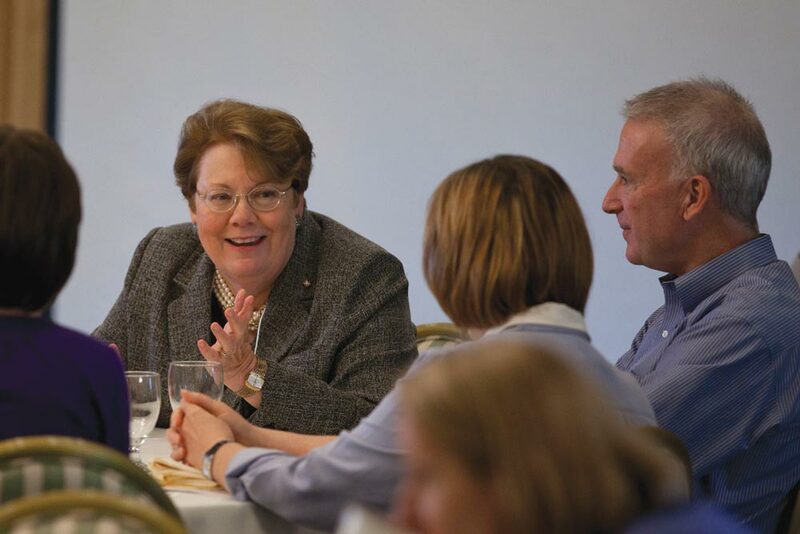 In July, she attended the annual Harvard Seminar for New Presidents, where she and about 50 others heard from experts and former presidents about running a university. 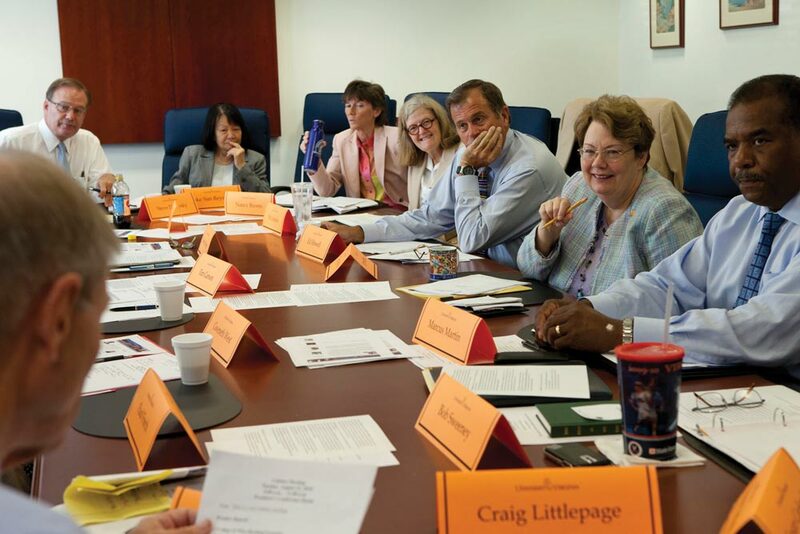 Regular trips between Charlottesville and Ann Arbor during the months preceding her official start helped familiarize her with many of the University’s key players. Extensive reading materials supplied by many of those same people helped ensure she was prepared. During weekends, Sullivan has enjoyed exploring the surrounding community with her husband, Douglas Laycock. The couple’s excursions have ranged from attending the Albemarle County Fair to exploring local restaurants and taking evening strolls around Grounds. 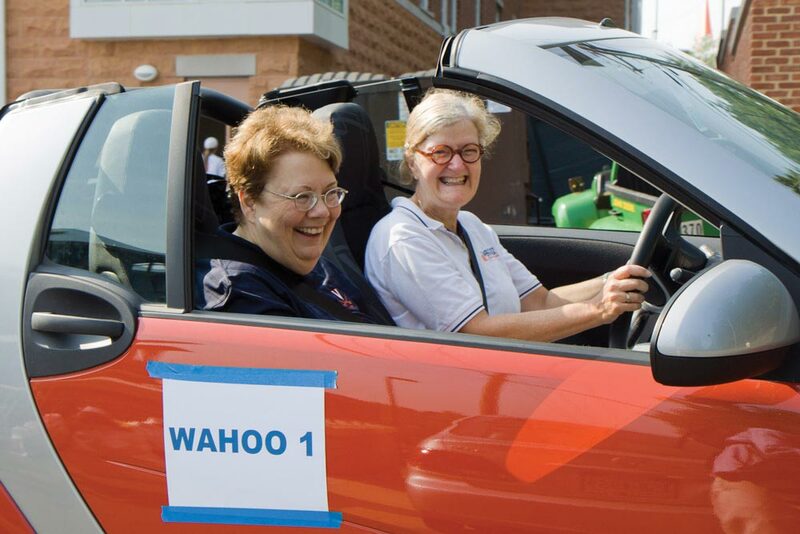 As the first-year students moved in to their dorms at the start of the school year, Sullivan made her way around Grounds in a Smart Car driven by Pat Lampkin, vice president for student affairs. Sullivan mingled with students and their parents, and was impressed by resident staff and other student volunteers who helped with the move-in. 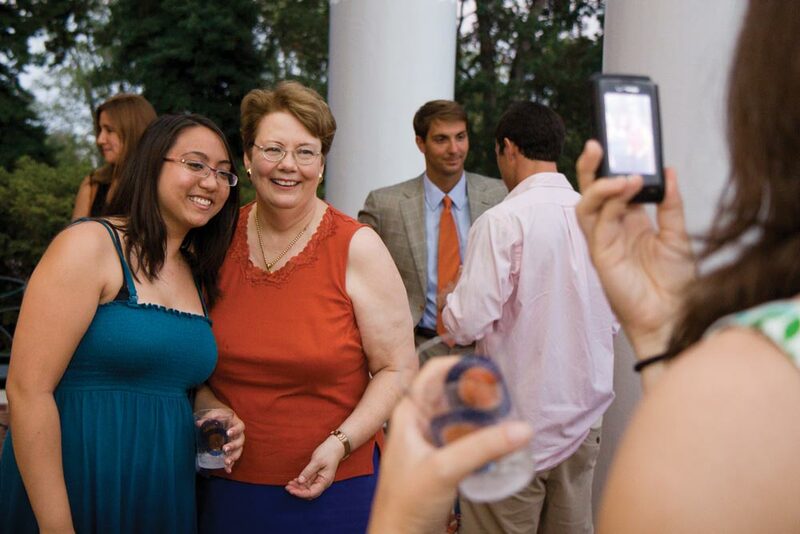 President Sullivan welcomes students and parents on move-in day 2010 from UVA Magazine on Vimeo. At the University of Michigan, Sullivan was known as the “Provost on the Prowl” for her habit of showing up just about anywhere at any time. She’s continuing that practice at UVA. 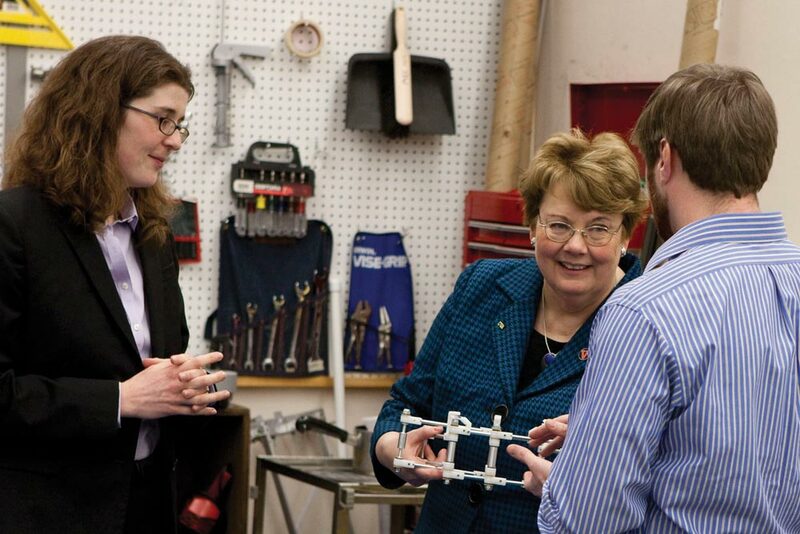 Here, she visits with associate professor Hilary Bart-Smith in a mechanical engineering research laboratory. 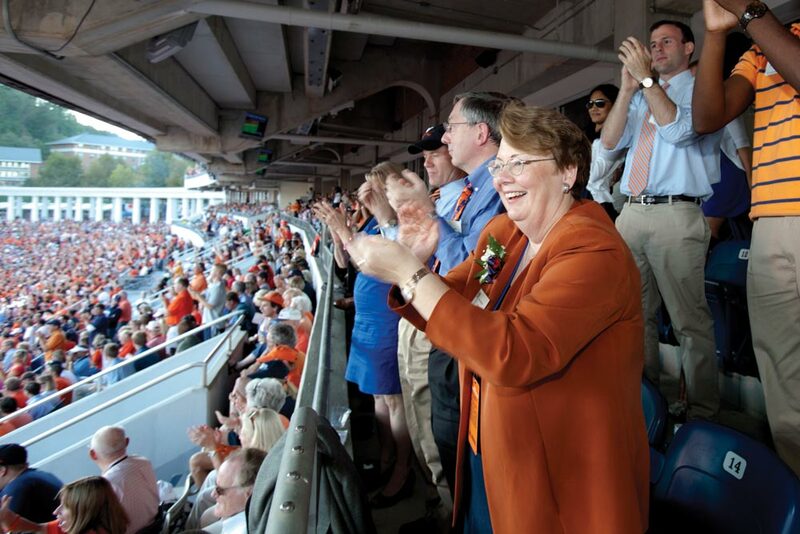 She also appreciates how the UVA family comes together at games, as well as the benefits student-athletes gain from collegiate sports. To begin the Day of Dialogue (see pages 14 and 61), Sullivan addressed a large gathering at Old Cabell Hall. It was a day of somber reflection and discourse among various segments of the University community, and Sullivan came away impressed by the level of faculty participation—75 faculty members served as facilitators for the day’s discussion groups. 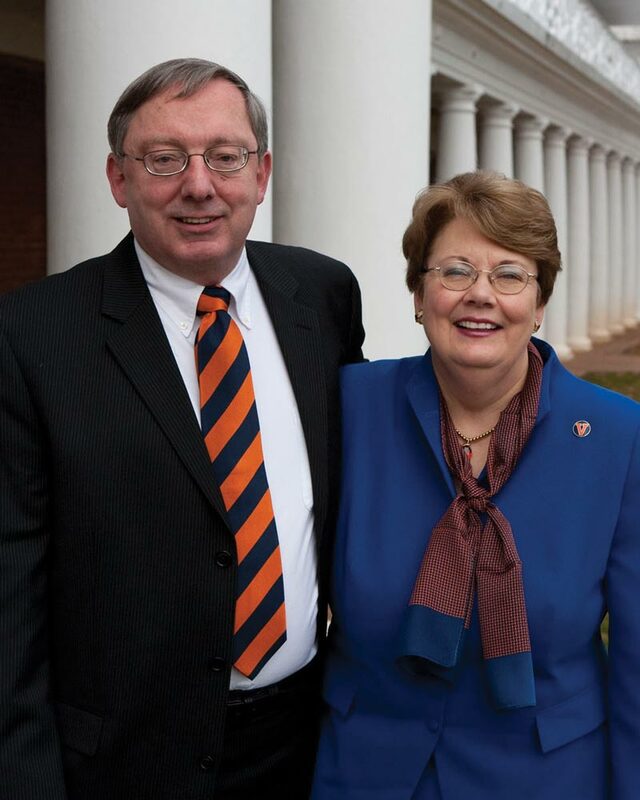 President Sullivan speaks on the Day of Dialogue from UVA Magazine on Vimeo.